Visitors were temporarly not able to register for posting messages on our UWiX forum. The cause is going offline of the ReCaptcha weblink which is programmined into the ReCaptcha plugin of Joomla!. Because the page could not be found the usage of ReCaptcha didn't work for several components on our site. That is no captcha was shown when needed and registration to the forum was impossible. After some research and program fixes the problem is now solved. The Joomla! developers are already aware of this 'problem' and we expect the ReCaptcha bug is fixed in the upcoming Joomla! update(s). 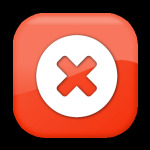 We apologize to all our user who have tried to register on our forum. If you register right now we'll garantue a fast answer to your question or remark. This update release fixes several minor bugs and also fixes the correct usage of hyperlinks when using a https secure website. You can download the latest version from the download page or by using the Live Update button from within the DigiFolio component. You can also find the changelog there. Some users really needed the ascending/descending sorting method for DigiFolio. So, we've added it to this version. Also made some minor bugfixes. We haven't forgot our Joomla! 1.5 users! This new version can be downloaded from the download pages. Or you can use the Live Update functionality from within the DigiFolio component. 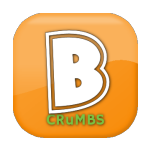 F rom today new versions of the BreadCrumbs Advanced and the BreadCrumbs Advanced Plus module are available. It took us longer than planned but these versions can be used in the new Joomla! 3.0 version! Ofcourse you can still use all the standard options provided with the default BreadCrumbs module but a lot of extra features are added with the BreadCrumbs Advanced module from UWiX! For Joomla! 3.0 users there is an extra animation effect added. Check the functions out on this page. And the good news for our BCAPlus subscribed users: you can also download the Joomla! 3.0 version! After an user alerted us about some login and registatration trouble, we've noticed it was not possible to login or even register to our website. This had to do with a faulty plugin and with the latest Joomla! update (v2.5.9). After fixing the plugin and resetting some Joomla! global settings everything should work fine now. All the users which couldn't or weren't activated are activated by our administrator now. So we sencerely apologize to all our users for this trouble and we hope you now can enjoy our website again! This update release fixes a problem when you're trying to uninstall the DigiFolio component. If you did not select the "DigiFolio Package" as uninstallation option not the whole DigiFolio component is uninstalled. And if that is the case you can experience some errors in the frontpage of your website about missing files. This had to do with a missing file check in the Content Plugin of the DigiFolio component. This issue is fixed now - so no more missing files errors. After several reports from our users we've released a new update for the DigiFolio component for Joomla! 1.5. 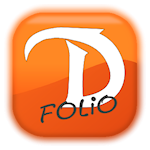 Some users reported problems when saving the DigiFolio configuration and with the views of some projects. These problems are solved (with some others) and the new version can be downloaded from the download pages. Or you can use the Live Update functionality from within the DigiFolio component.